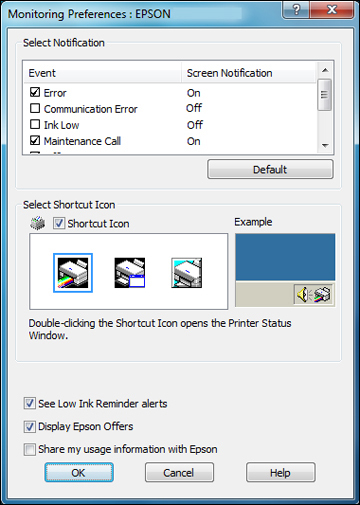 A low ink reminder appears if you try to print when ink is low, and you can check your cartridge status at any time using a utility on your Windows computer. Replace or reinstall any ink cartridge indicated on the screen. Deselect the See Low Ink Reminder alerts checkbox at the bottom of the screen. To disable promotional offers, deselect the Display Epson Offers checkbox.